Most supermarket stores (64%) witnessed prepared foods category growth of 9% or higher in 2014, according to a survey conducted by Food Marketing Institute (FMI) and Technomic. It details the sophistication of supermarket fresh prepared foods among 28 banners, representing 8,000 stores, and substantiated the US$15 billion growth of supermarket foodservice over the last eight years. 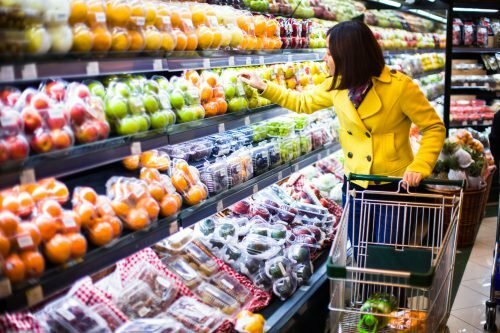 “It’s clear that food retailers are differentiating their businesses by leveraging fresh food selections to meet shopper demands for convenience, all while counterbalancing declining center store sales,” says FMI VP, fresh foods, Rick Stein. “Survey respondents said they are breaking out deli sales and prepared food sales as separate profit and loss line-items in their respective income portfolios,” he adds. “Sixty-two percent of supermarkets participating in this research now offer customers made-to-order stations along the store perimeter, but select supermarkets have incorporated limited service or full-service restaurants into their physical footprint,” says Technomic’s principal Wade Hanson.